The police’s treatment of a vulnerable 17-year-old girl, who committed suicide in northwest England after being detained in police custody for an entire weekend, will face official state scrutiny Monday. 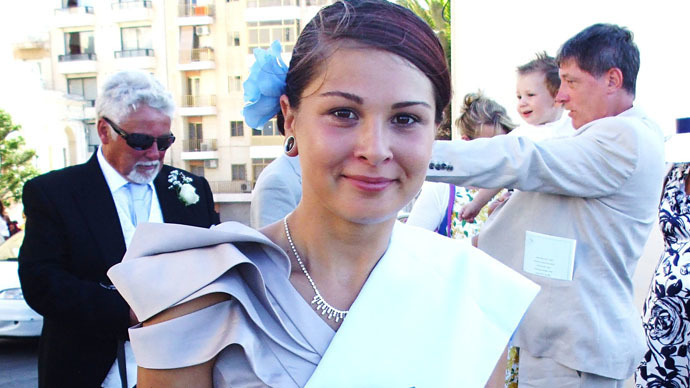 An inquest into Keisa Leatherbarrow’s death is expected to highlight concerns over Greater Manchester Police officers’ handling of people who suffer from mental health issues. In the case of Leatherbarrow, the young woman had a history of self-harm. The teenager's inquest began at a coroner’s court in south Manchester on Monday. The coroner presiding over the case is Joanna Kearsley. It is expected to last five weeks. Martina Brincat Baines, Keisa’s mother, said the family was devastated by the 17-year-old’s death. “We hope that the inquest will provide some answers to allow us to come to terms with this terrible tragedy,” she said. Leatherbarrow hung herself in December 2013. In an effort to make her way into a residential care home for recovering addicts to visit her friend after hours, she had broken a window. When police officers were alerted, they arrived on the scene and arrested the teenager. They found a small amount of cannabis in her possession at the time. The 17-year-old subsequently spent three days and two nights in police custody. While in the cell, she was highly emotionally distressed, repeatedly banged her head against the wall and made numerous suicide threats. Nevertheless, she remained incarcerated. While Leatherbarrow was allegedly visited in custody by nurses, no official assessment of her mental state was carried out. Despite showing signs of extreme stress, she did not see an appropriate adult for more than 16 hours. Police officers also failed to contact health professionals, social services or her mother during this period. Several hours after being released, Keisa hanged herself in a friend’s garden. Prior to her arrest, Leatherbarrow had spent five weeks in a mental health ward for adolescents because her mental health had shown signs of deterioration, and her self-harming had aroused concern. She had also been arrested in October 2013 by Lancashire Police for breaching the peace, following threats of self-harm and suicide. On this particular occasion, Leatherbarrow was released after being detained in a police cell for a night. She later fled her family home after threatening to commit suicide. The police were subsequently called, and Leatherbarrow was taken away from a motorway bridge by officers. “Inquest is sadly working on far too many cases involving deaths of children and young people with mental health problems where the very systems that should be in place to protect them have failed,” she said. The Leatherbarrow family have expressed hope that Keisa’s inquest will directly address serious issues regarding the way in which Greater Manchester Police handled the young woman while she was kept in their custody. The family also hopes the inquest will examine whether police took the appropriate measures to safeguard the teenager from the risk she posed to herself. Figures released by the Independent Police Complaints Commission (IPCC) have revealed that almost 50 percent of deaths related to police custody in 2011-12 involved vulnerable people suffering from mental health issues. Some 39 people overall are thought to have committed suicide following police custody in 2011-12. This figure rose dramatically last year, however, climbing to 64. A further 15 people died while in police custody in 2012-13. Leatherbarrow’s death has prompted ministers to introduce a legislative change, which will mean young people under the age of 18 can no longer be detained in police stations overnight. Late last year, however, it emerged many vulnerable British children are finding themselves locked up in prisons rather than receiving required medical help, as hospitals and medical centers lack the resources to treat them. Of approximately 23,000 incidents involving vulnerable individuals in 2012-13, one in four were sent to prison cells. More than 200 children in total were taken into police custody, despite recommendations that the measures should only be used in exceptional circumstances.